Mykonos is one of the most beautiful islands I’ve ever been to. The white buildings, beautiful clear blue beaches, the little windy streets of Mykonos Town, every part of Mykonos has something special. This only makes it harder when trying to decide where to stay in Mykonos. 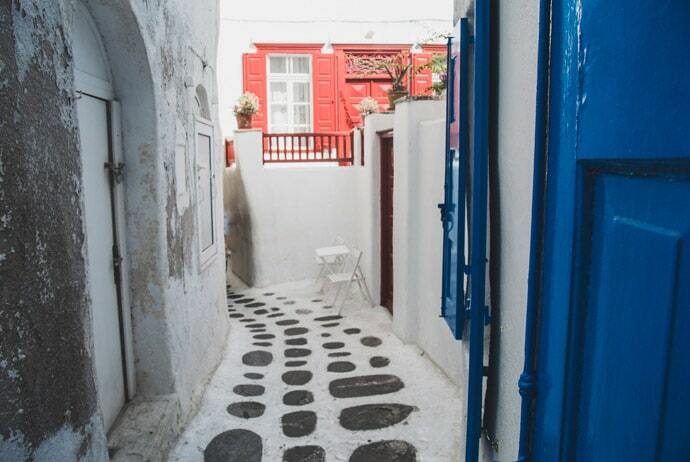 So what area to stay in Mykonos to make the most of your trip? In our Mykonos accommodation guide, you will find our Mykonos area guide, and the best hotels in Mykonos grouped by location and price. 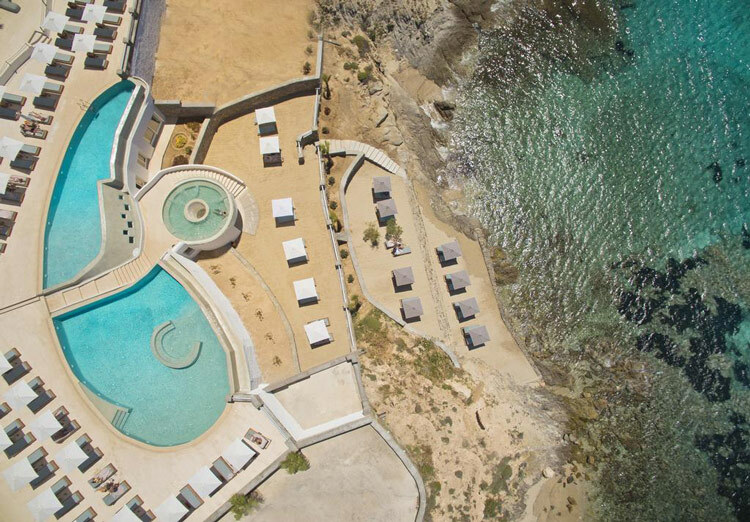 The aim of this guide is to help you choose the best area of Mykonos to stay for you, find the best hotels in Mykonos easily, and make planning your trip to Mykonos simple. How To Decide Where To Stay In Mykonos? Accommodation in Mykonos can be expensive. Obviously, there are lots of luxury options, but even for the more basic accommodation, you will pay more than you may elsewhere. 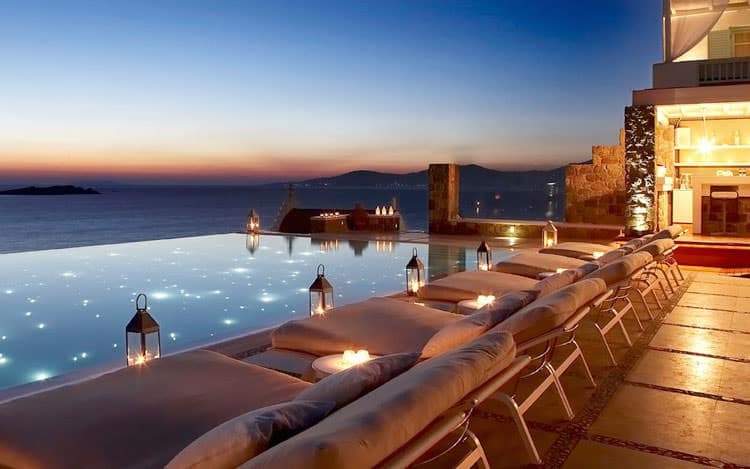 With that in mind, we have curated the best value hotels in Mykonos, from budget to luxury hotels in Mykonos. But I think you need to decide your reasons for going to Mykonos. If you intend to spend a lot of time at your hotel/villa, then perhaps it’s worth spending more. 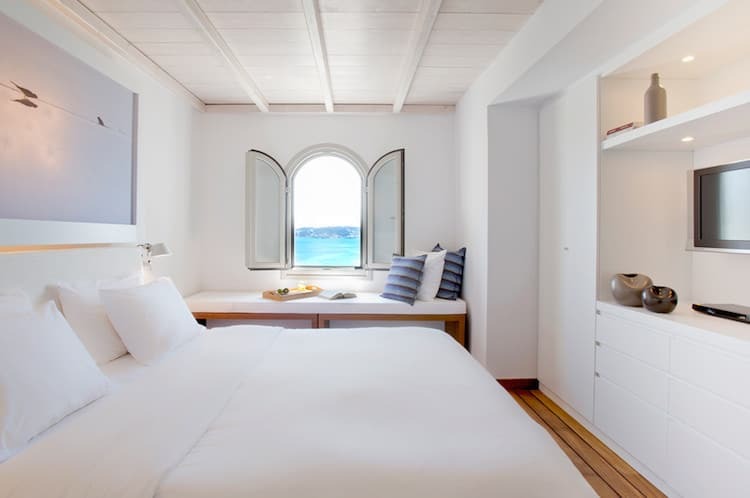 If you only need your hotel as a place to sleep because you will be out enjoying all the amazing things to do in Mykonos, then location and value for money are probably more important. 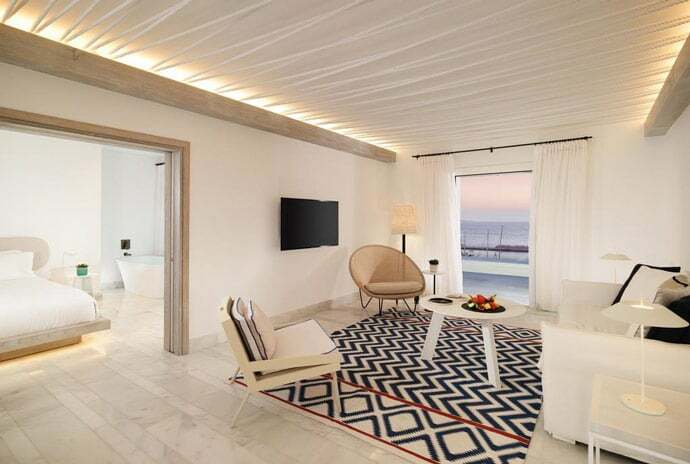 Or you might want to experience the best, it might be a special occasion like your honeymoon in Mykonos, in which case you probably want to splurge. Once you decide what’s important to you, it will be much easier to decide on accommodation. 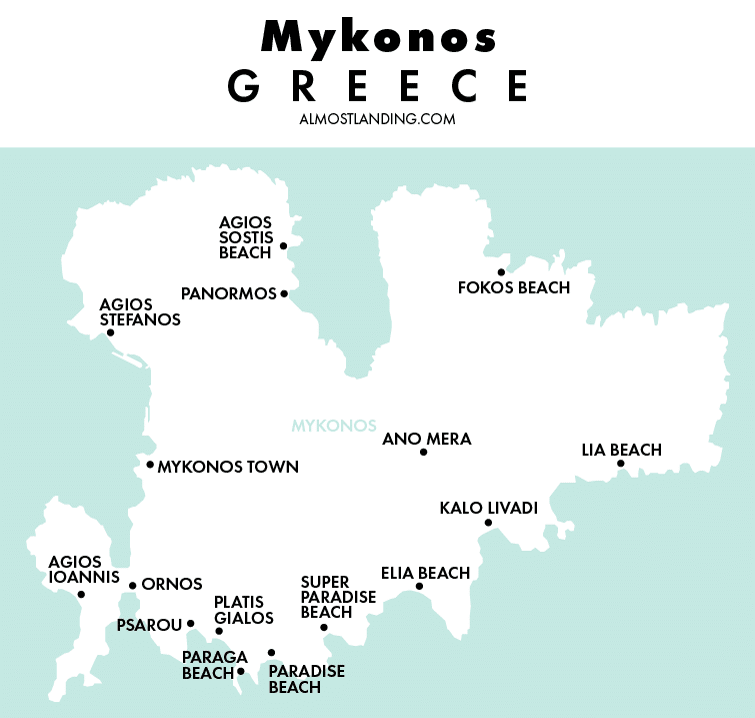 Here is our Mykonos Map to help you decide what area to stay in Mykonos. 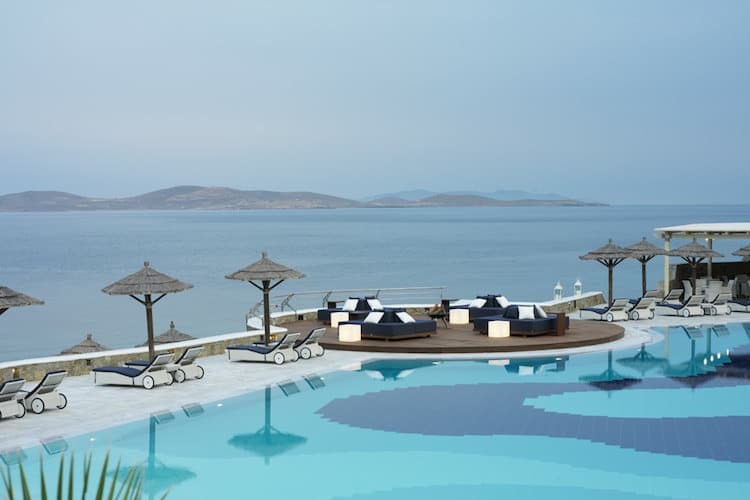 How To Decide Where To Stay In Mykonos Greece? So what is the best area to stay in Mykonos? Deciding where to stay in Mykonos could change the type of holiday you have. I think the main decision you need to make is where to stay in Mykonos beach or town? Where To Stay In Mykonos Beach Or Town? Option 1: Do you want to be more remote, in a more relaxing, quiet area, with a beautiful beach and not much else? 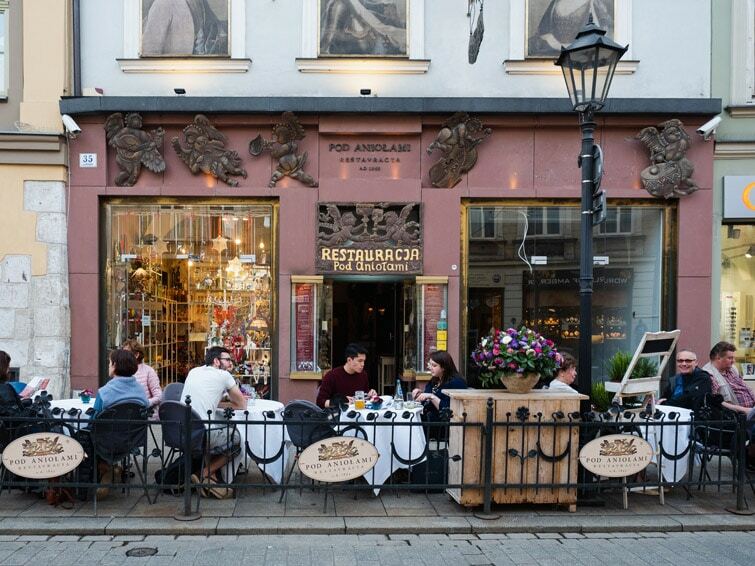 You will also need to consider transport options such as bus routes or renting a car, as you will have fewer restaurants, bars and shops near you. Mykonos beaches include Agios Ioannis, Agios Stefanos, Agios Sostis Beach and more. Option 2: Do you want to be able to walk out of your hotel, have shops, restaurants, bars and beaches, as well as lots of people and activity? You will have many bus routes available but may also benefit from renting a car if you want to see more remote areas. This option would be Mykonos Town, otherwise known as Chora, and perhaps staying in Ornos and Platys Gialos. We stayed in Mykonos Town (Chora) and for us, I think this was the best decision. It meant that whilst we could hire a car to drive around to all the remote beaches during the day, at night time and on other days, we had many restaurants, bars, shops and streets to get lost in. 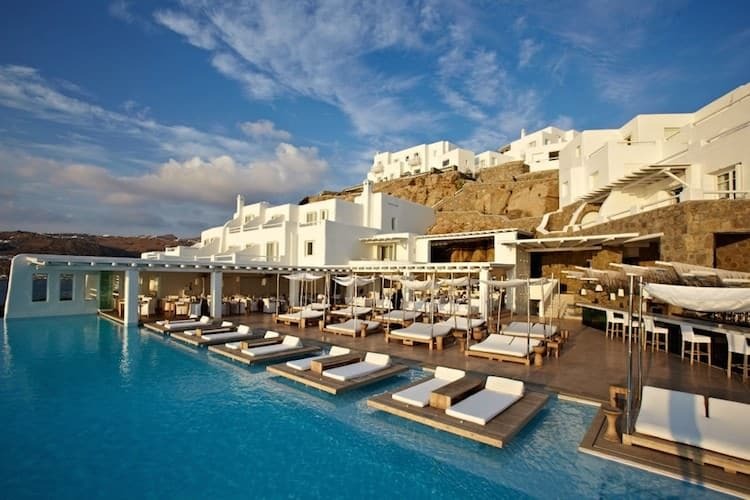 See our Mykonos accommodation guide below for our picks for where to stay in Mykonos Town. Our pick for where to stay in Mykonos for first-time visitors is Mykonos Town. Mykonos Town has a charming atmosphere, the little streets, the boutique shops, the restaurants etc. There are still nice beaches nearby, and you can easily get out and explore during the day by bus or hiring a car or scooter. For families, I would pick Mykonos Town, Ornos or Platys Gialos (Yalos). These three areas seem to have beaches as well as restaurants and regular bus routes. Mykonos Town would be the busiest, followed by Ornos then Platys Gialos. Mykonos is famous for its clubs and attracting international DJ’s. Paradise Beach and Super Paradise Beach are known for its beach parties and clubs, and although there is some accommodation here, it’s pretty remote otherwise, with not much else to do. 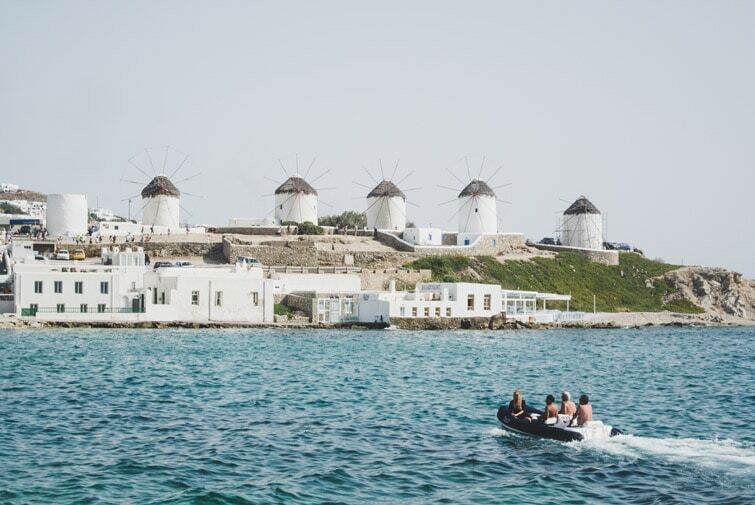 Mykonos Town is also a great option for where to stay in Mykonos for nightlife, and there’s also much more to do here, so this is another option. Paraga Beach, which is not too far from Paradise beach, also has a beautiful beach area and has a sophisticated beach party atmosphere. 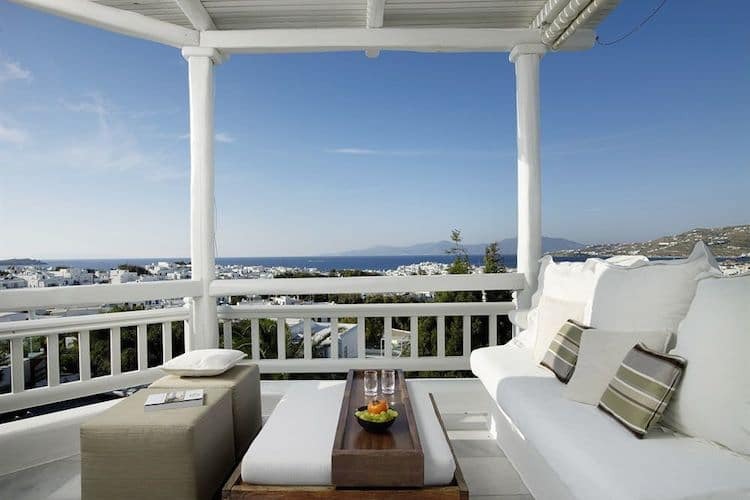 There are some great areas to stay in Mykonos for couples and those on their Mykonos honeymoon. Again I would say Mykonos Town is a great option, with a variety of accommodation options and things to do. 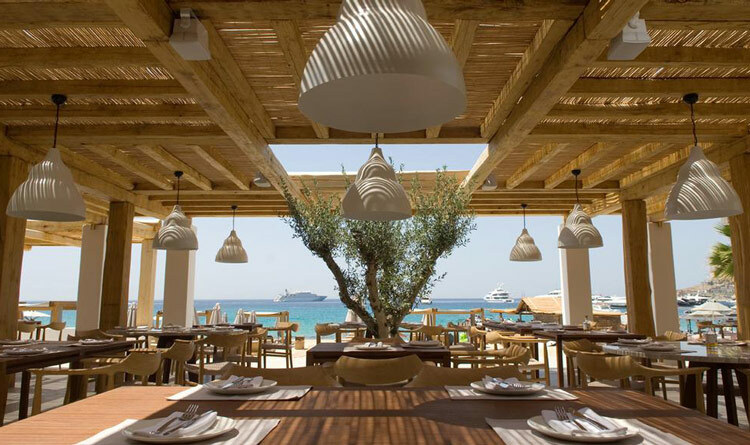 Other great options are beach areas that still have restaurants nearby, but not as many when compared to Mykonos Town, such as Platis Gialos and Psarou. Otherwise, the more remote beach areas are great for relaxing, such as Agios Ioannis, Agios Stefanos and many others. When booking accommodation in Mykonos, there are two main websites that I use. Booking.com has some of the best prices and a large number of accommodation options available in Mykonos. We love using it for our travels and it’s how we book most of our hotels. We love staying in apartments or villas using Airbnb. 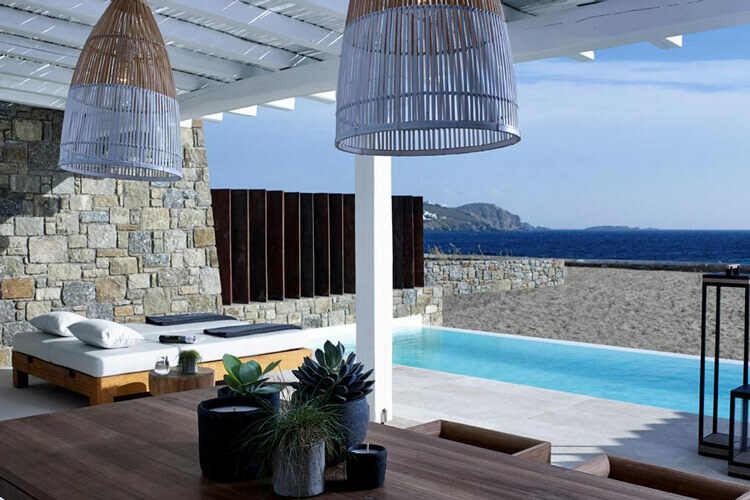 Airbnb in Mykonos has an array of beautiful options including some stunning villas overlooking the dreamy beaches. Sign up here to get $50 credit off your first Airbnb stay. 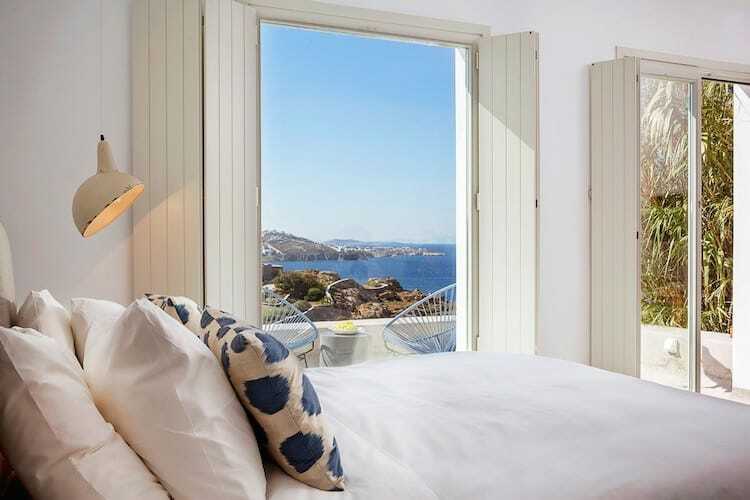 We have put together a guide of the best places to stay in Mykonos from our experience of our time there and research. 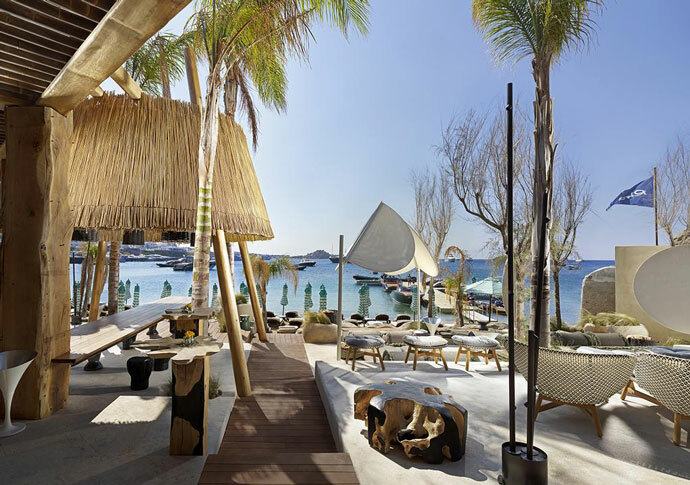 This includes 5 star hotels in Mykonos, the best luxury hotels in Mykonos, boutique hotels in Mykonos and the best hotels in Mykonos Town and beach areas. Please note: Prices were accurate at the time of this post, based on late shoulder season/early peak season, and are per night. Some properties require a minimum number of nights stay. 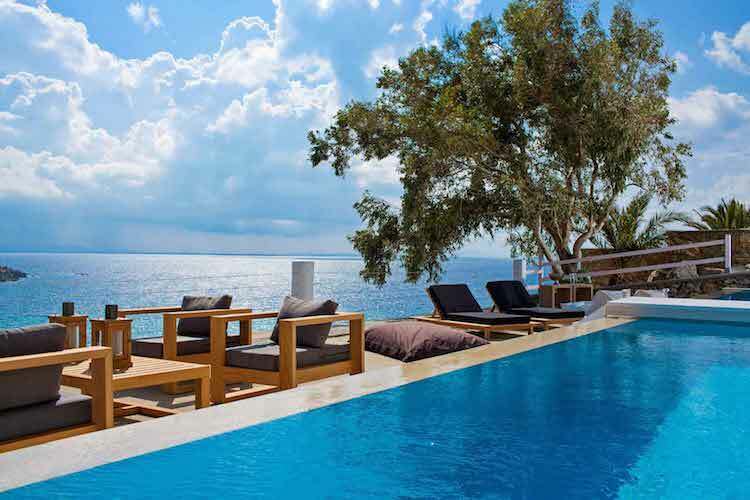 Mykonos is flooded with luxurious properties, but if you’re going to splurge, you might as well have the best of the best. These are some of our favourites. 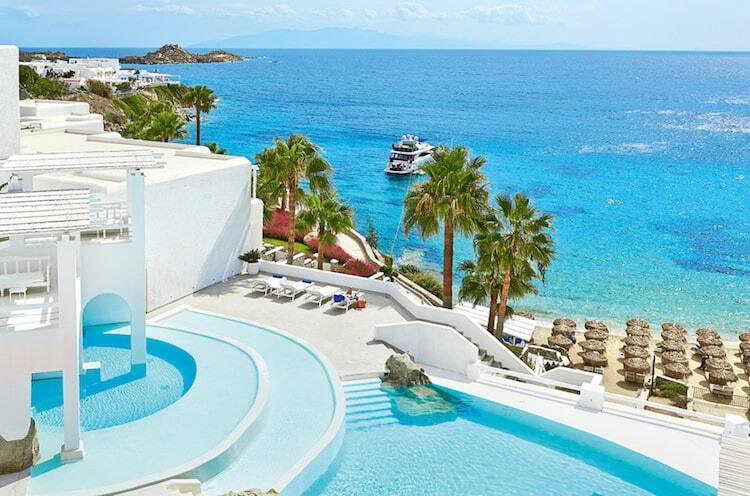 What’s your pick for the best place to stay in Mykonos? This post was originally published on March 4th, 2015. It was last updated on March 15th, 2019.